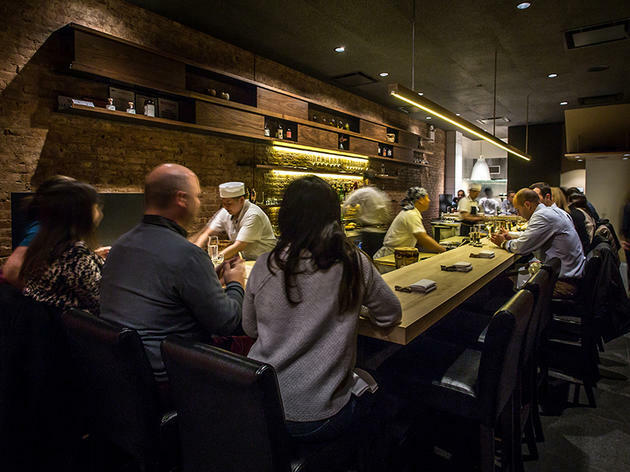 That populist streak softly colors this 20-seat follow-up—the beanie remains, as does the thumping “99 Problems”—but where a pricey omakase was an option at Neta, here it’s mandatory. 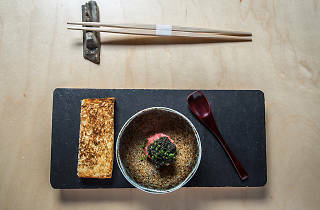 For real sushi ballers, the $175 kaiseki menu expands on those maritime beauts with a stomach-swelling array of delicate, seasonal composed plates that gives Lau and Kim the room to really stun. 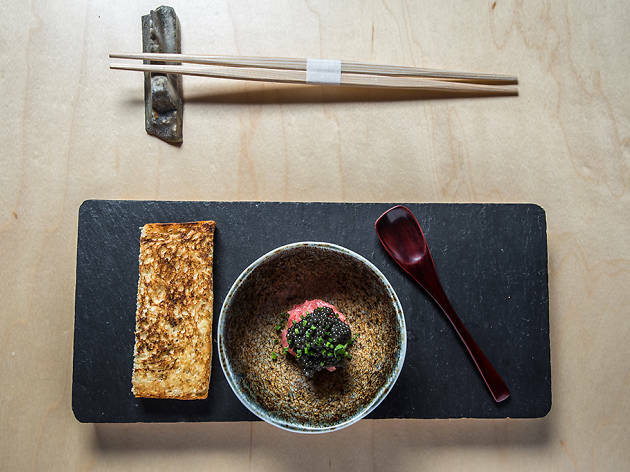 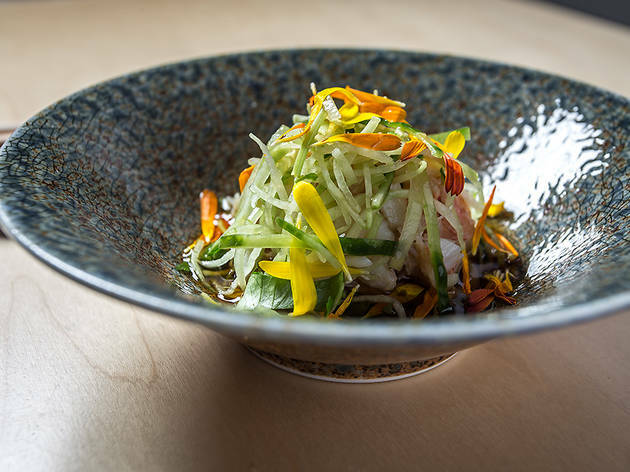 There are Neta carryovers, including the Masa-decadent toro tartare that’s made to be eaten atop lightly grilled milk bread with Black Sturgeon caviar, and an elegantly refreshing salad of West Coast Dungeness crab, cucumber and chrysanthemum in a tosazu-vinegar dashi. 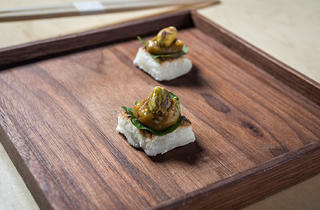 Playful newcomers include house-made mochi squares, as toasty as summer-night marshmallows and dabbed with a richly nutty pistachio miso; a tempura-fried cake of scallop, carrot and burdock with a latke homeyness; and a hunk of short rib, atop a slick of squash puree, rendered so weak-in-the-knees tender, it fall aparts at the mention of a chopstick. 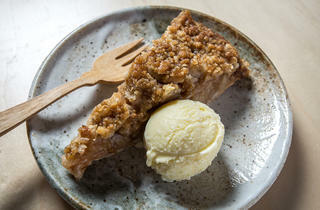 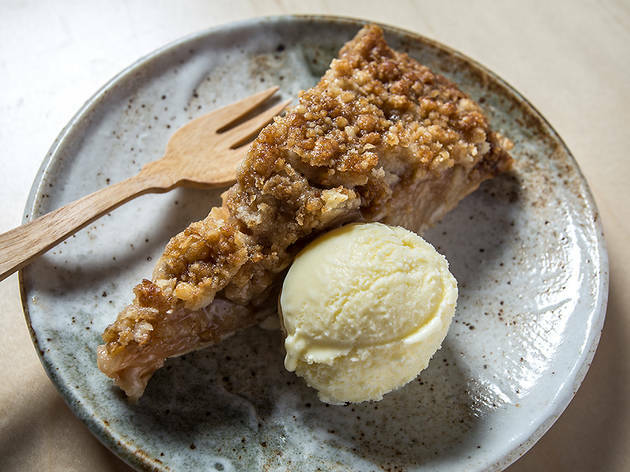 Then there’s the crumbly apple pie, a characteristically out-of-left-field finisher served with silky bay-leaf ice cream. 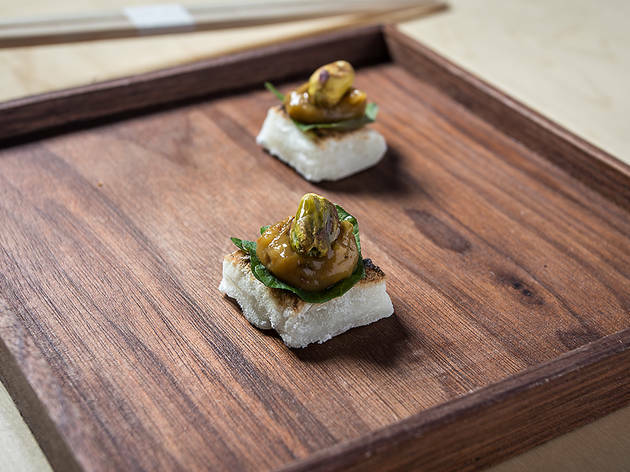 On one night, a microscopic bit of crustacean shell nearly marred an otherwise lovely dish of lobster funked with smoked bacon and truffle, and at times, the relentless onslaught of plates can have a dizzying effect. 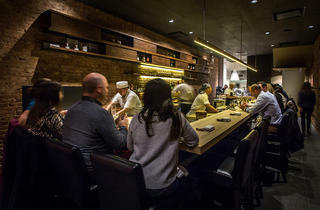 So, sure, Shuko’s got a few problems, but great fish ain’t one. 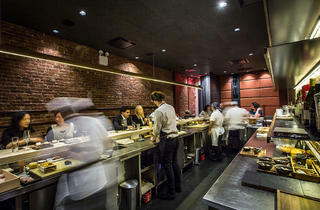 Finally came here... Bf is a regular so we got a 7pm reservation for Friday night and we were seated promptly. 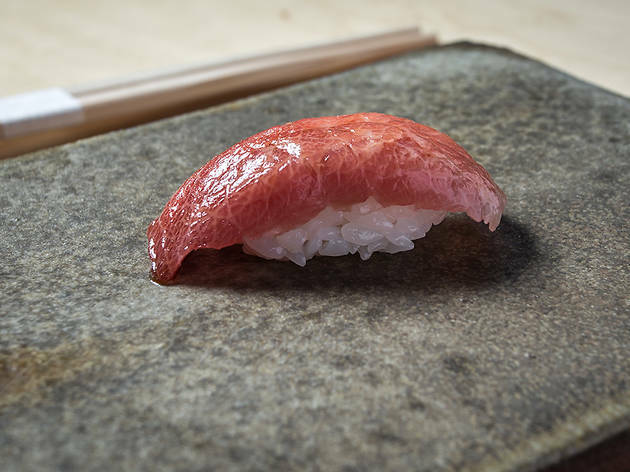 This is my first omakase so I didn't know what to expect. 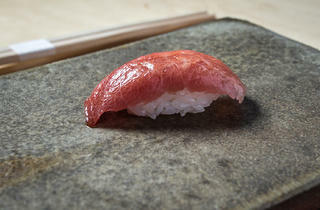 We did the kaiseki and boy i was full half way thru! 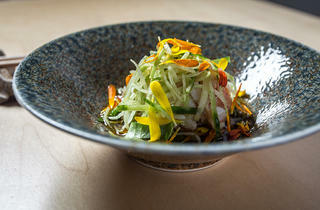 Everything was meticulously prepared and it was great. 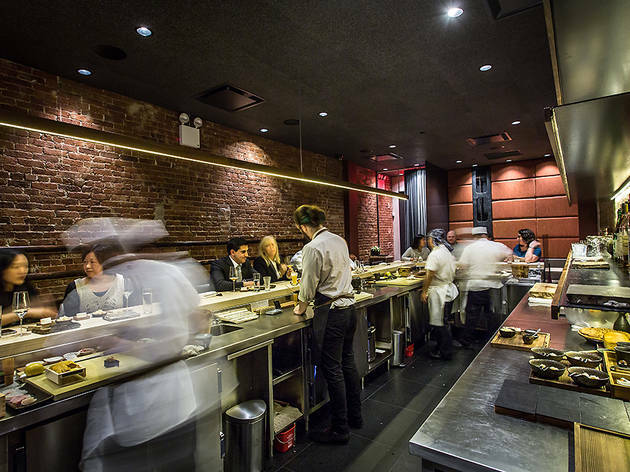 The chefs are all very polite and friendly.